AA 24-Pack HIGH ENERGY™ Alkaline Batteries is rated 4.5 out of 5 by 62. We've spent over 110 years thinking about batteries so you can think about them less. 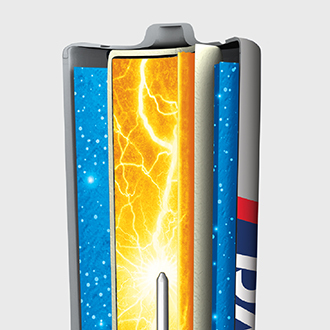 RAYOVAC® HIGH ENERGY™ AA batteries are long lasting, guaranteed - plain and simple or your money back*. 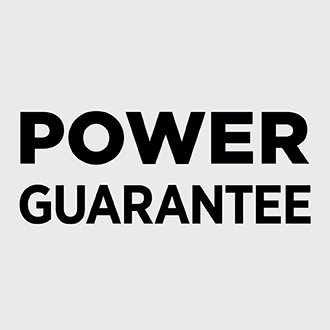 *Money Back Performance Guarantee: Visit www.RAYOVAC.com/MBG for details. 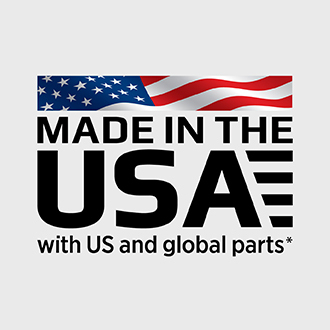 Produced right here in the USA in Fennimore, WI*. Holds power for 10 Years while in storage (5 for 9V). *Money Back Guarantee: Contact 1-800-891-6091 or www.RAYOVAC.com/MBG for more details. Restrictions apply. Highly efficient case for safely containing and delivering maximum power. 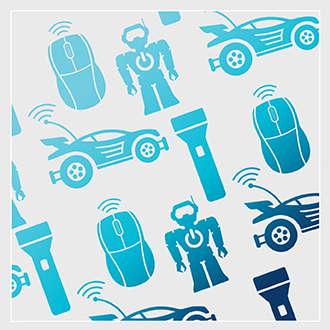 HIGH ENERGY™ AA alkaline batteries are ideal for high use devices including toys, flashlights, wireless mice and more. Plus, they're designed to prevent damaging leaks and tested twice prior to shipment to ensure reliability. These AA batteries contain power rings for consistent performance and a max capacity can for safely containing and delivering maximum power. Rated 5 out of 5 by Chris35 from Long Lasting They last just as long as Engergizer/Duracell batteries and they cost less! They are definitely worth it. I go through a lot of batteries and these batteries are just as good as the name brands. Rated 5 out of 5 by alijun from Good batteries These batteries works very well and last very long. Rated 5 out of 5 by Jen0818 from Great life! These are some awesome batteries! They last a long time in my kids most techy toys. We can use them in gaming systems and talking fur real friends animals. Very satisfied with the quality! Rated 5 out of 5 by bjstrock from Awesome!! These batteries are still going strong even though we use them almost everyday. the flashlight has not been dim and has stayed bright. The remotes are working great also. Highly Highly recommend! Rated 5 out of 5 by Steph84 from Worked as they should I received these awhile ago but had to make sure they worked for awhile. I had them in item (remote control) for about 6 months and they are still working great. Definitely would purchase these batteries again.